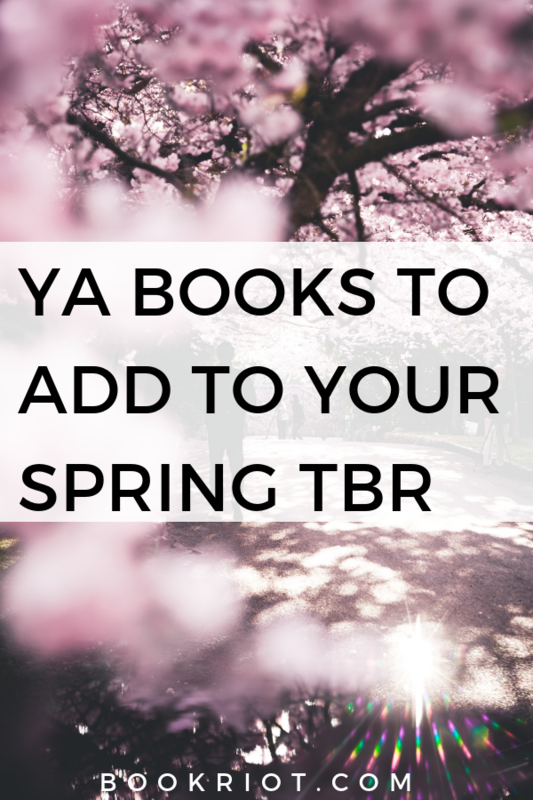 Spring has almost sprung, which means it’s time for a new season of books to add into your reading rotation. From magical teens and love stories to sci-fi adventures—check out these 20 YA books to add to your spring TBR. 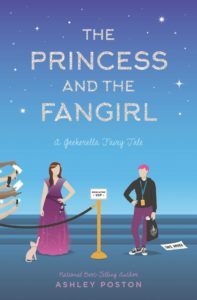 This companion to Geekerella reimagines The Prince and the Pauper in the best way possible: at a con! Jess is tired of being typecast after her role as the iconic space princess, Amara. Basically, she’s over it, the franchise, and the toxic fans. Imogene Lovelace is on a mission to save her favorite character in the Starfield franchise: Princess Amara. When their paths cross, the two girls, who look uncannily similar, wind up switching places and realizing just how good their own lives were to begin with in the process. The author of Georgia Peaches and Other Forbidden Fruit is back with a new novel, this time about high school student Jess. Before Vivi, Jess struggled with anger issues, but Vivi helped her see how she could harness those feelings into her art. 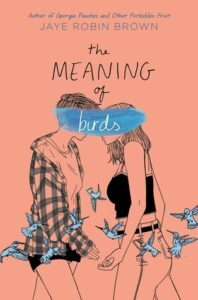 After Vivi passes away suddenly in the middle of Jess’s senior year, it seems like nothing—not the future, not art school, not anything—matters anymore. It’ll take the help of a new friend and a new way to channel all those emotions to find a way through life without Vivi—but maybe it will be possible after all. Lou finally landed a job at Magic Castle Playground…as a giant dancing hot dog. To make matters worse, her longtime crush is dating the princess of the park; her best friend, who’s always been up for anything, suddenly isn’t interested in Lou setting her up with the perfect girl; and, worst of all, if they can’t find some way to save the park this might be their last summer at Magic Castle Playground. Ever. 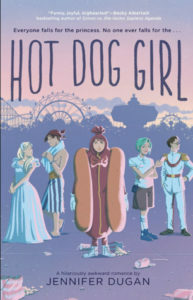 What’s a hot dog girl to do? Considering this one comes highly recommended by Becky Albertalli (author of Simon Vs. The Homo Sapiens Agenda and What If It’s Us) I am 1000% on board and ready to read this one. 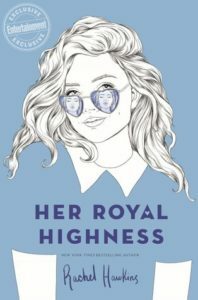 This companion novel to Royals is all about Millie, who applies to a boarding school as far from Houston as possible after a bad breakup. The highlands of Scotland seem like the perfect place to get away and move on with her life. Except her roommate is a total princess. A literal Scottish princess, actually. Flora is high class and high key, but before Millie knows it, she’s found herself a new best friend and maybe even girlfriend. But there’s no way it will work out, because real life isn’t a fairytale—is it? Tyler Jones is at the top of his class at the Aurora Academy, ready to graduate and recruit his own squad. But when he answers a distress call the night before Draft Day, rescuing the last survivor of a lost starship from cryo-sleep, he winds up with the last dregs of recruits. Now he’s stuck leading a team of misfits along with a girl out of time and space…who may just be the catalyst for a war several million years the making. 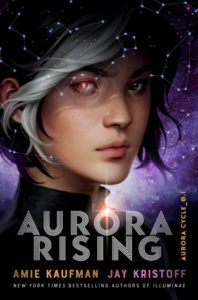 This new sci-fi series from the authors of Illuminae sounds incredible and action-packed, and I am here for it. Nima Kumara-Clark is ready for a change. She’s totally over her town, way too in love with her straight best friend, and still reeling from her mom’s recent departure. Then, Nima suddenly finds herself immersed in the drag scene. This new world of kings and queens could show Nima a way to finally really accept herself and find love, but she’ll have to accept some love lost first. Fit is an Internet star, entertaining her fans through her countless videos. 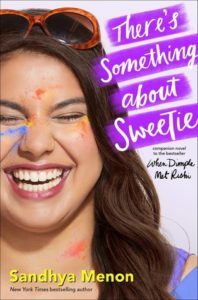 If she can make it big, maybe she can finally make it out of her casino-filled town and the small apartment she shares with her brother and grandfather. But when her estranged mother is released from prison and comes to live with them, Fit is outraged. She was the one her mother tried to kill in a fit of postpartum psychosis, after all. But if there’s one thing her fans love more than a tragedy, it’s a heartwarming story of a family reunion. But is faking a happy relationship with her mother really worth it? Emoni Santiago has more than enough on her plate, between her young daughter and caring for her abuela. She just doesn’t have time for anything else. But when she gets in the kitchen, it’s like everything else just melts away. Which makes it so much worse that she doesn’t really have the time for her school’s culinary arts class and definitely doesn’t have the money for the class trip to Spain. Still. When she starts cooking, there’s nothing that can stop her. And maybe that’s enough. 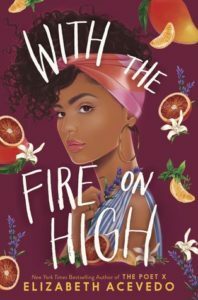 After Elizabeth Acevedo’s first novel, The Poet X, I can’t wait to see what she does with The Fire on High! 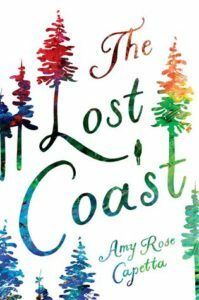 Six queer witches forge their way amongst the magic and secrets of the California redwoods. Danny wasn’t sure why she picked out Tempest when her mom held out a map and told her to pick a town. Turns out it wasn’t an accident. A group of teen witches called the Grays cast a spell to bring her here. They think Danny can help them find their missing friend Imogen, but instead she finds a boy with a branch through his heart. 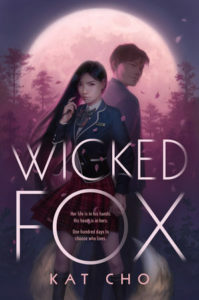 Something very wrong is going on in the forest, and it’s up to these teen witches to figure it out. This companion to When Dimple Met Rishi follow’s Rishi younger brother, Ashish, whose parents have decided to set him up. They insist on him being with a nice Indian American girl. Enter: Sweetie Nair. She’s fat, and as far as her parents are concerned that’s the kiss of death. Which means Sweetie and Ashish both have a lot to prove with this relationship. Can they find something special amidst all that madness? There is nothing more powerful than bones in Saskia’s world. 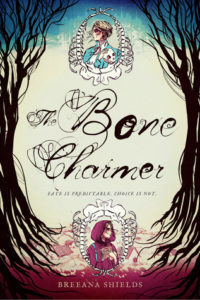 When her bones are read on the day of the keening, her worst fears come true: she’s a Bone Charmer like her mother before her. But a broken bone causes a split in Saskia’s future—two diverging paths, lived out simultaneously. Only one can become her real future, but Saskia’s life is now at risk in both. 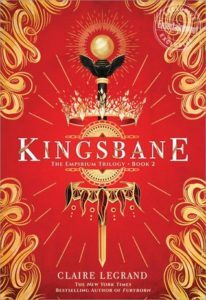 The second book in Claire Legrand’s heart-stopping Furyborn series picks up with the intertwined stories of Rielle Dardenne, recently declared the Sun Queen, and Eliana Ferracora, who, several centuries later, learns she is the true Sun Queen. Her fears of becoming another Rielle have left her powers unpredictable and dangerous. But how do you learn to wear a crown you never wanted? The first book in this series was almost impossible to put down, and I can’t wait to see where this next book takes us. Indigo and Violet are identical twins, once inseparable, who have drifted apart—for good reason. Violet is terminally ill and plans to soon end her life on her own terms. 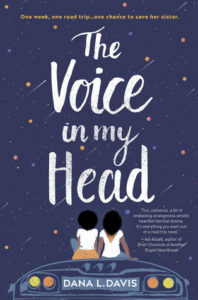 But when Indigo hears a mysterious voice claiming to be God and insisting that if she takes her sister to a rock in the Arizona desert, her sister will live, she isn’t sure what to believe. Violet agrees to go—but only if their incredibly dysfunctional family joins them. Indigo can’t stand her distant mother and controlling big sister, but she’s willing to try anything to save her sister. And when a series of devastating secrets are revealed, Indigo has to come to terms with her family and with the voice in her head. 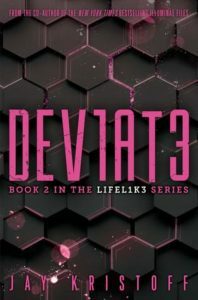 The sequel to Lifelike (and, yes, another book by Jay Kristoff on this list). Lemon Fresh has been separated from her friends: Ezekiel, still searching to be reunited with his love Ana, and Cricket, who’s fallen into possession of the fanatical Brotherhood. Lemon’s recently discovered abilities to manipulate electricity marks her as a deviate. Now dangerous operatives are hunting her down. 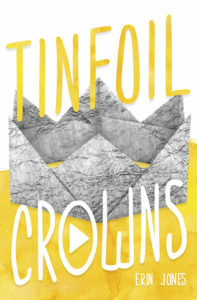 But a group of teenage deviates may just hold the secrets to Lemon’s mysterious past. Meanwhile, back inside Babel, Eve is hatching a plan that could end the world once and for all. Claire Kann’s second novel, following Let’s Talk About Love. Winnie’s spending her last summer before college working at her granny’s diner. She dreams of inheriting the restaurant someday, but if she can’t make some money fast, there may be no diner left to inherit. Her plan? To enter a televised cooking competition. If only her grandmother had any intention of letting her do it. A new book from the author of Not The Girls You’re Looking For. Sana and Rachel couldn’t be more different. Sana is a straight A cheerleader. Rachel is a wannabe director, obsessed with movies. And she might have just found the perfect lead for her new short film: Sana. The only problem? Rachel hates Sana. She has ever since Sana asked her out, and she assumed it was some kind of cruel prank. But…what if it wasn’t? Maybe these two strong willed young women will find a way to each other after all. 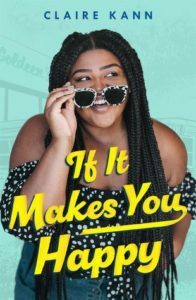 The author of It’s Not Like It’s a Secret is back with her second book. CJ Katsuyama has never been able to live up to her mother’s type A ambition. She’s just happy to help out at her aunt’s flower shop. But when CJ’s mom decides to sell the shop—to the same family who swindled CJ’s grandparents when Japanese Americans were sent to internment camps during WWII—she thinks she’s finally found something worth fighting for. 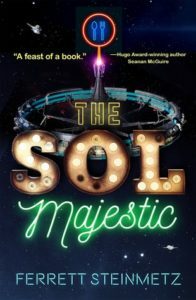 Described as the perfect read for fans of Becky Chambers and The Good Place (yes and more yes), The Sol Majestic tells the story of an aspirational teen guru. But when Kenna wins a free dinner at the galaxy’s most illustrious restaurant, everything changes. It seems like the perfect chance to get access to the galaxy’s one percent, but then Kenna learns that his free meal could lead The Sol Majestic into financial ruin. Along with a motley gang of newfound friends, Kenna must concoct a scheme to save the restaurant and everything they hold dear. 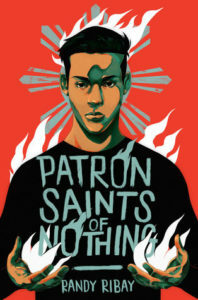 A powerful coming of age story about a young Filipino American who learns that his cousin was killed in President Duterte’s war on drugs. No one in Jay’s family wants to talk about what happened, but he is determined to find out the truth. But the truth isn’t always easy to handle. As Jay travels to the Philippines to uncover what really happened, he has to reckon with the many sides of his cousin and the events leading up to his death—and the role Jay unwittingly played in it. Modern day Seoul is the perfect place for a gumiho to hide in plain sight. 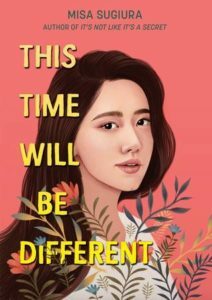 Nobody notices a few missing men, the kind whose energy 18-year-old Gu Miyoung has to feed on to survive. But when she comes across Jihoon, a human boy, being attacked by a goblin, she goes against her instincts to rescue him, losing her gumiho soul in the process. The two form a tenuous friendship, but ultimately Minyoung will have to make a devastating choice between Jihoon and her own immortal soul. 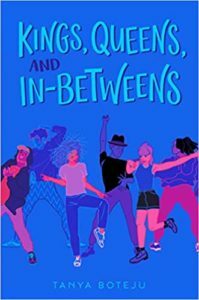 If you want to find more upcoming releases for your 2019 TBR, check out Rioter’s most anticipated books of 2019, this early 2019 YA preview, these 2019 sapphic books, 50 YA books to add to your 2019 TBR, 2019 bisexual YA books, 2019 YA anthologies, and these anticipated 2019 LGBTQ reads.